Patrik Berger. 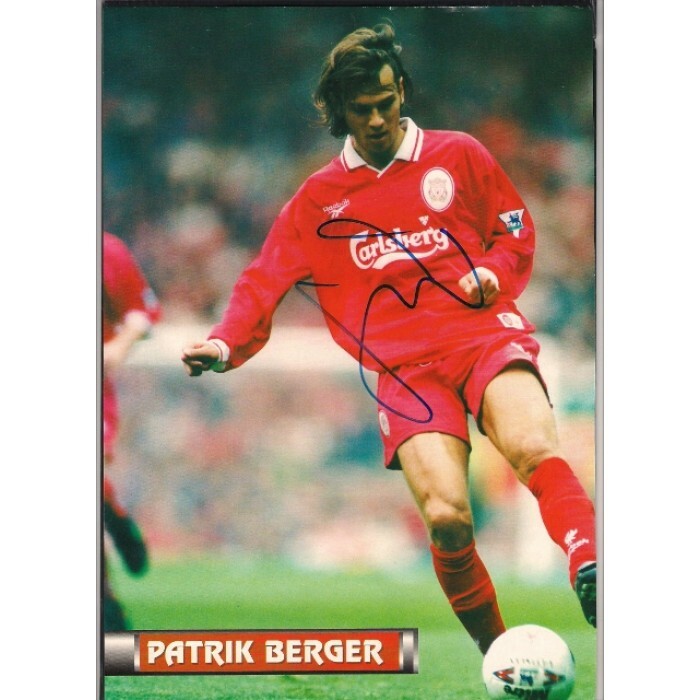 This is a really nice A4 size, colour picture of Patrik Berger the Liverpool footballer. This picture comes from a Liverpoll Football magazine of the time and shows Berger in full length action. The Liverpool legend has provided a great example of his signature for me in fine black ink. He played 149 leagues games for Liverpool F.C. from 1996 to 2003 scoring 28 goals. He also won 42 caps for the Czech Republic.